2. In a small dish mix together olive oil, ac vinegar and sesame seeds. Toss dressing in with the fennel mixture. Sprinkle with salt and pepper. 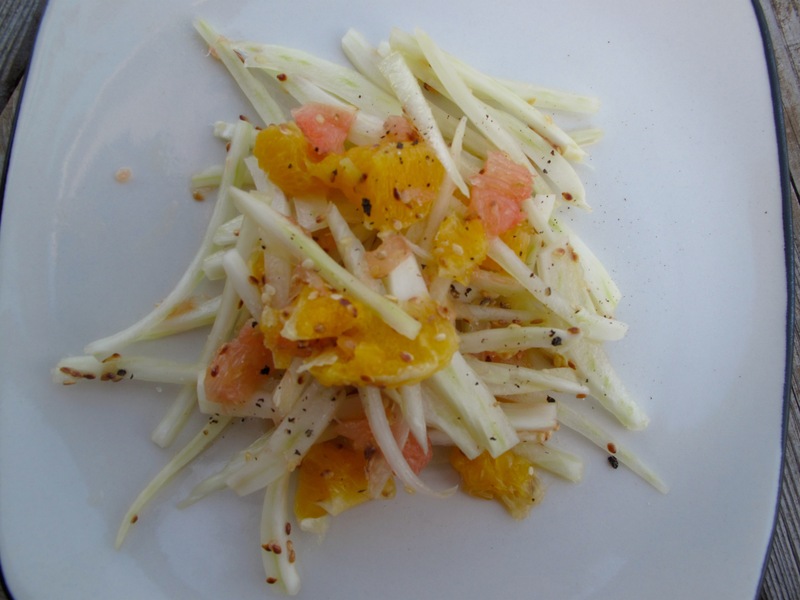 This entry was posted in Recipes, Salads, Sides, Vegetables and tagged citrus, fennel, food, grapefruit, oranges, Recipes, salad, sesame seeds by Karina. Bookmark the permalink.